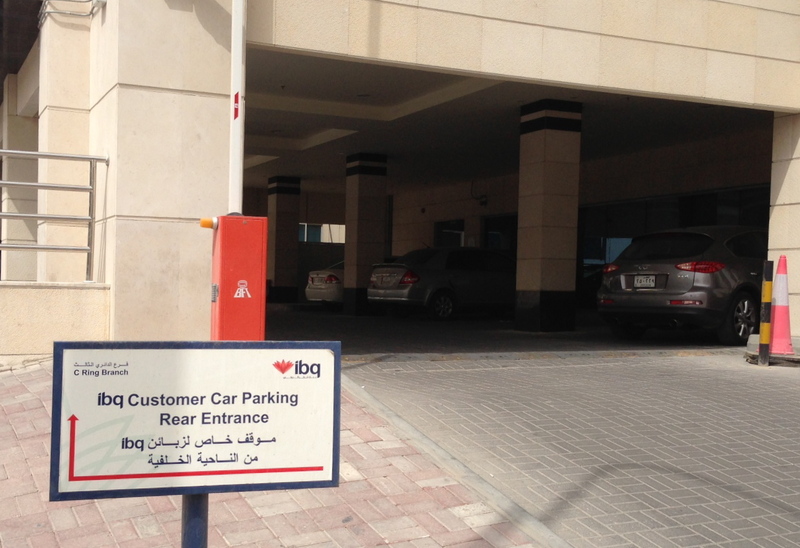 I fondly call Qatar ‘The Land That Logic Forgot’, and here is another example. Where do you think I was supposed to park? a) Around the back of the bank, in the direction of the arrow on the sign. b) In the opposite direction, around the front of the bank. d) It’s a trick and there’s no parking. After driving around the bank twice, I gave up and parked in a random stretch of sand. 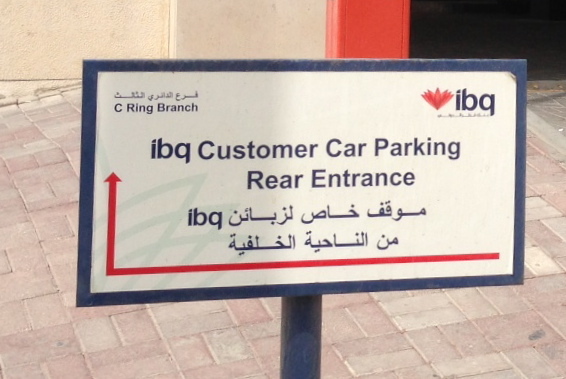 I asked the teller, where exactly the parking was: it turns out the correct answer was (c). Obviously.